We've been friends with Giulia and her amazing family for years, and when she introduced us Marcello, we instantly knew he was the right one for her. Just imagine our happiness when he decided to propose! As they are both very connected to the beautiful country where we live, they decided to have their engagement pictures right in the heart of our hills, but also their wedding was a big country style party, in their family home they are currently renovating: everything spoke of shared values, true friendship and the purest kind of happiness. An intimate wedding with just seven guests can be a dream come true, especially if the main theme is “Romeo & Juliet”. We definitely have a thing for packaging, boxes, ribbons and everything paper-related. That's why we like to change and innovate our packaging every year. We love to brainstorm about new themes and moods, finding props and accessories to create a unique way to showcase our work that truly represent our taste. Well, you know how much we love to work in our beloved hills. With Giulia and Marcello we decided not to go too far from home, in a quiet field where we could see the countryside from above. They simply made all the rest: they danced in a wheat field, laughed hard sitting on the ground, with their back against a pile of wood ready for winter time, they listened to a sweet tune, holding each other and looking in each other's eyes... and we were there, shooting and getting emotional, for a love that we had the privilege to see growing day by day. 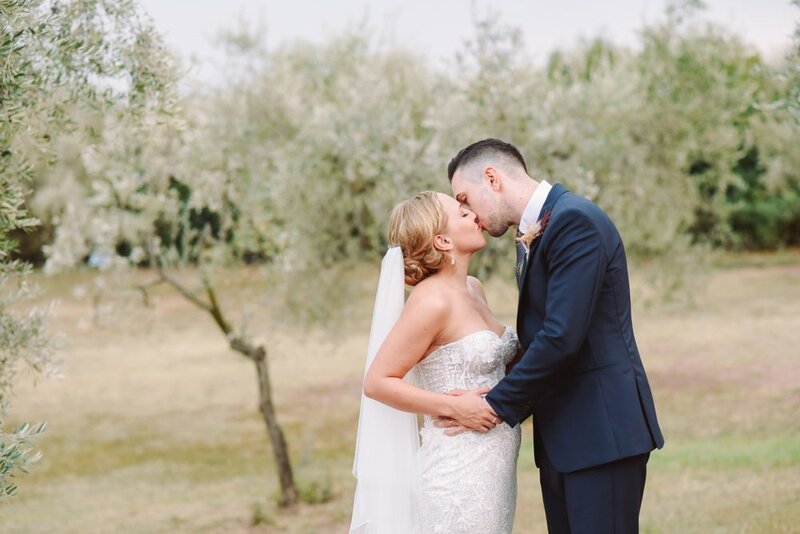 For their Italian destination wedding Sofia and Martin decided to gather family and friends from all over the world to Borgo Sant'Ambrogio, a true heaven on earth like venue nestled among the Tuscan hills of Pienza, near Siena. 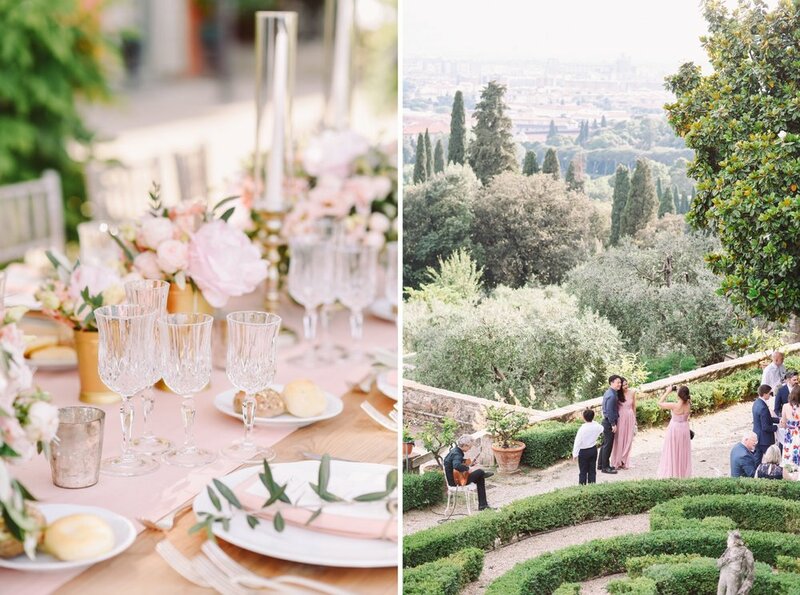 The garden of the wine estate hosted both the ceremony and the reception, serving both as a couple session backdrop and as an incredible venue for all the guests and the newlyweds.